Yep, there are such things as infants ski goggles! They sound like something that wouldn't exist, but doing a search on Google will yield positive results. In some cases, even thought the eyewear is listed as "infant" goggles, they're designed for older children, so keep that in mind and make sure you know exactly what you're ordering. Winter Kids: This retailer has an array of winter clothing for kids ages 0 to 8, including adjustable ski goggles that fit tiny faces. Again, not exactly for infants per se, but Rugged Bear Online has several kids' sizes and styles available. Choose from two brands: Scott and Smith. There are multiple styles available. Obviously if you're truly shopping for goggles to fit your infant, he or she won't be standing on two legs and hitting the slopes. If you're making it a family outing to watch someone ski or take turns skiing and watching your baby, though, everyone-including the infant-needs ski goggles. At high altitudes, the UV rays are even stronger. That's why you need all the eye-and skin, for that matter-protection you can get from goggles, clothing, and sunscreen. If your child is a toddler or above, he will benefit even more from the technology of ski goggles for kids. Active kids can better utilize the anti-fogging lenses that a lot of them have (just like the adult versions!) and more. Kids of any age can appreciate the planning that goes into making a pair of goggles comfortable, so make sure the pair you order includes face-framing foam. Be prepared for your children-babies, toddlers, and so on-to want to take them off. Make sure you get a well-fitting pair with the foam so they're less likely to take them off as much. Here is an article about what to pack when its time to take a ski trip with your infant, toddler, older child, and spouse: Ski Trip Survival 101. 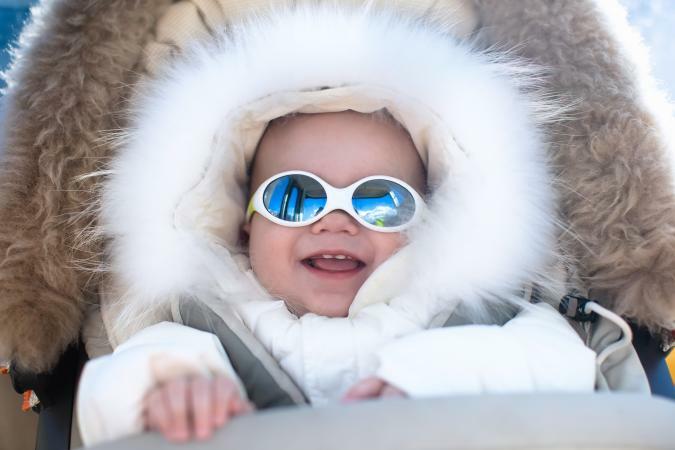 Any time you expect to have your infant out in the sun-especially when he or she is subjected to high altitudes and snow-you need to protect your little one's eyes. 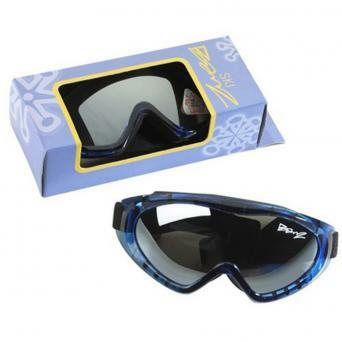 When searching for your pair of infants ski goggles, make sure the lenses offer 100% protection from UVA and UVB rays. Some may protect from UVC rays, as well. That's a bonus. Anti-fog lenses are more important for toddlers and older kids who will be doing some serious skiing. Comfort's a must at any age. Who wants to wear a pair of sunglasses or goggles that make their head hurt, itch, or just feel cumbersome overall? No one! Look for adjustable straps and hypoallergenic foam. Now that you've got your kids' eye needs taken care of, pack up the car and begin a snow-filled vacation. Happy skiing!